Add squash, both coconut milks, lemon grass, salt and pepper to your crock pot. Cook on low 8-10 hours. 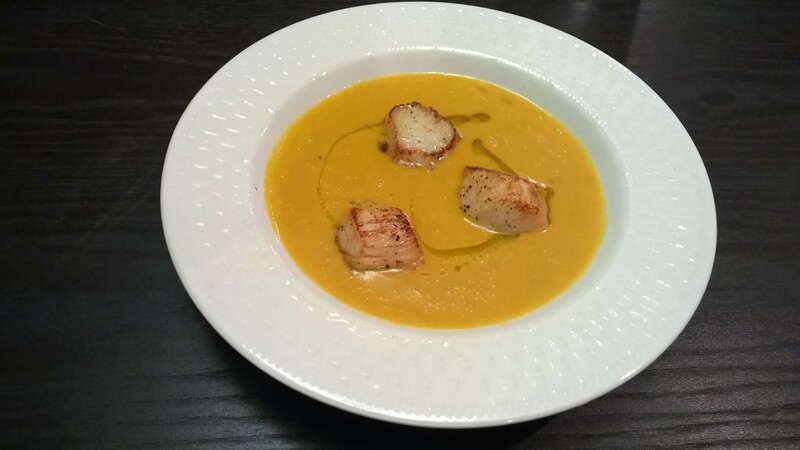 Serve in a bowl with scallops on top.